The Starfleet badge that we've all come to recognize started, in theory, as just the badge of Kirk's Enterprise crew. 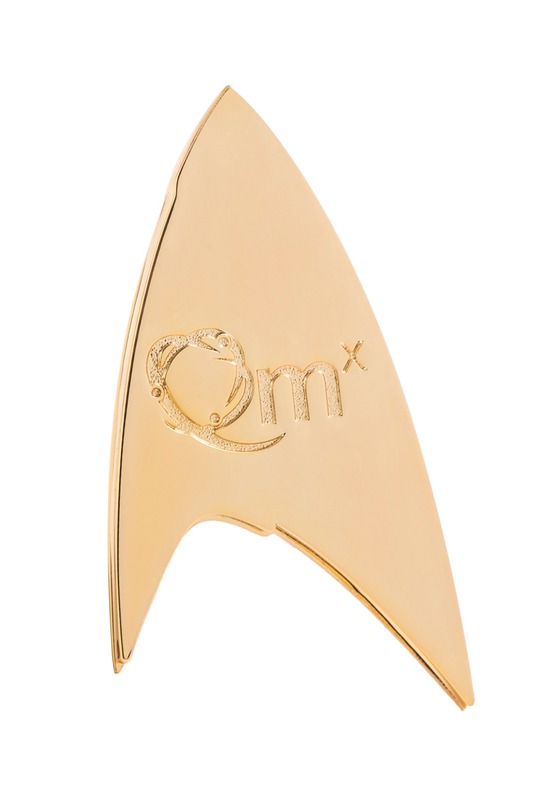 Adopted to the rest of the fleet only after they were so spectacular at their explorations, it is a bit of a wonder how the crew a decade prior to Kirk sported the same symbol! Well, rather than question how it came to be, we can just celebrate how awesome it is. 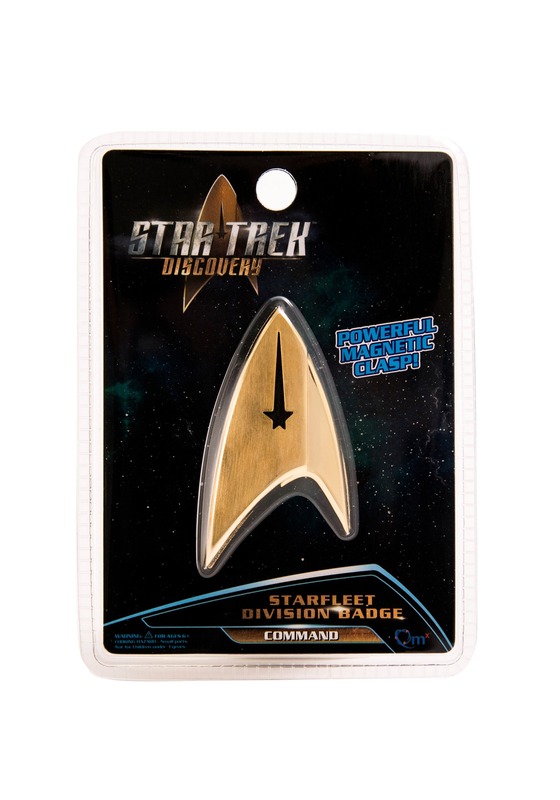 Join up with the team with your very own Star Trek: Discovery Magnetic Command Division Badge. 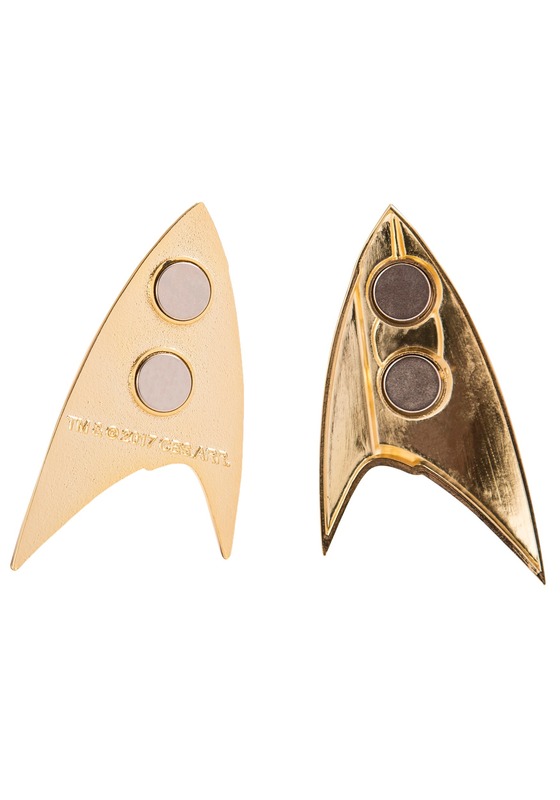 This lovely golden badge features the iconic arrowhead look and is engraved with the warping starburst pattern popularized in two generations of Trek and fastens on your clothes with magnetic power! You're going to look amazing showing off this beacon of hope for the future. Unfortunately, it will be a while before folks can detect your presence and beam you up to the ship. 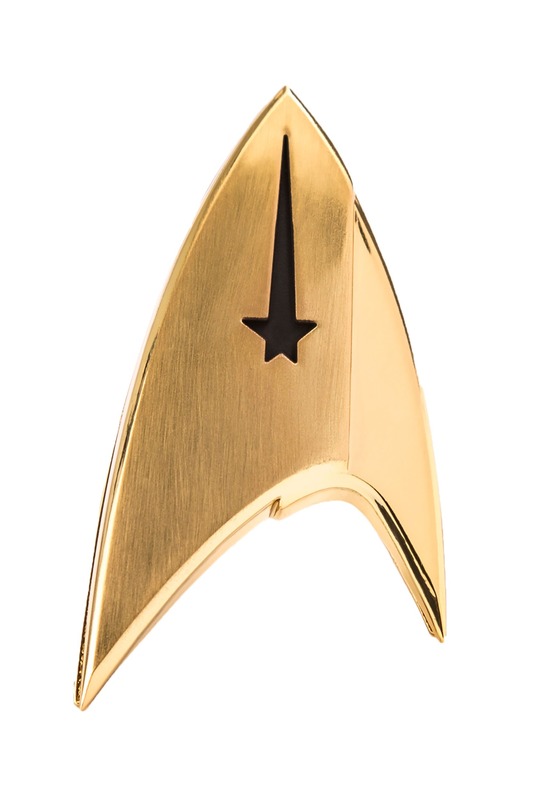 But, you're sure to be among the first when you're sporting this badge!